Doctors reported a marked improvement Tuesday morning in the medical condition of an IDF soldier wounded in a West Bank terror attack earlier in the week. Alexander Dvorsky, who was shot on Sunday, was fully conscious, breathing on his own and able to talk with medical staff at Beilinson Hospital in Petah Tkiva, the hospital said. Meanwhile, Israeli security forces continued their hunt for the suspected terrorist, identified as Omar Abu Laila, 18. Searches continued in surrounding villages, but efforts were shifting to intelligence gathering, with security forces working on the theory that Abu Laila has reached a secure hideout, Israel Radio reported. Despite suspected of having been shot during the incident, Abu Laila is considered armed and dangerous and in possession of a stolen IDF assault rifle. According to Israeli authorities, after fatally stabbing Sgt. Gal Keidan at the Ariel junction, Abu Laila grabbed the soldier’s gun and opened fire at passing vehicles, hitting Rabbi Achiad Ettinger, before stealing a vehicle and fleeing the scene. 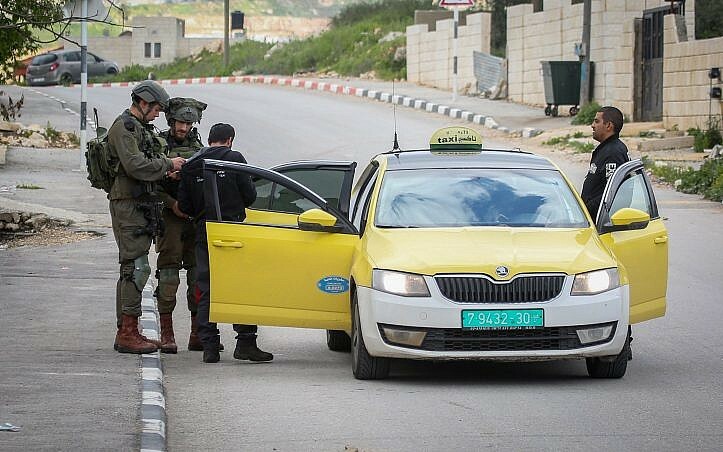 The terrorist then drove to the nearby Gitai junction, where he opened fire again, wounding Dvorsky. Ettinger succumbed to his injuries Monday morning. It is still unknown if the terrorist acted alone before and during the attack. Because he appeared to know what he was doing with the weapon, he might have had military training, defense officials said. The Shin Bet security service is interrogating Abu Laila’s family and other suspects, and officials estimated that he is receiving assistance and hiding out in one of the villages in the area. “The IDF, Shin Bet and the security forces are in close pursuit of him, we know where he lives and we have located his family, I gave instructions to start demolishing his house and the preparations have already begun,” he said. Also on Monday, over 1,000 Israelis gathered in the central West Bank settlement of Eli for Ettinger’s funeral, hours after he succumbed to the wounds he sustained in the attack. Relatives told reporters Sunday that Ettinger had turned his car around after being shot and managed to fire four bullets in the direction of the Palestinian terrorist, causing him to flee the scene rather than target others. The IDF has been unable to corroborate the account of the incident, which was not picked up by security cameras. Staff Sgt. Kaidan, 19, of Beersheba, who was also killed in the attack, was buried Monday in the military cemetery in the city. He was a third son of parents who immigrated to Israel from the Soviet Union in the 1970s. Seven family members said that he was “a gifted student and musician and a great loss to family and friends.” He left behind two brothers and two parents. This entry was posted on March 19, 2019 at 10:59 AM and is filed under Uncategorized. You can subscribe via RSS 2.0 feed to this post's comments. You can skip to the end and leave a response. Pinging is currently not allowed.